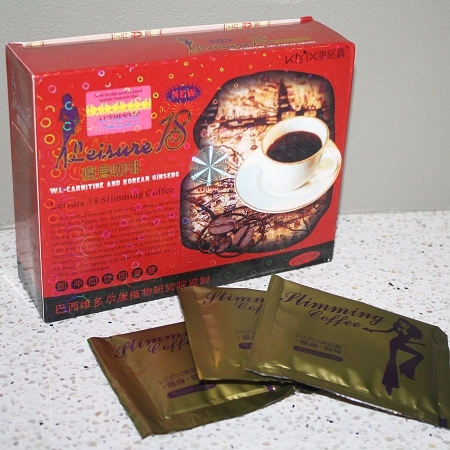 Leisure 18 Slimming Coffee is not regular coffee which is studied for many years. This instant coffee, no need to be boiled will make fat people enjoy the joy of losing weight in a very comfortable, romantic and leisure environment. Leisure 18 Slimming Coffee can make you drink for ideal figure, and make you become slim and amazing. One sachet of Leisure 18 Slimming Coffee daily in the morning mixed with about 6oz boiling water, 15 minutes before breakfast or lunch. When consuming Leisure 18 Slimming Coffee it is normal to lose 3 to 5 pounds your first week. For continued enhanced weight loss use moderate caloric reduction and exercise. Not suitable for individuals with high blood pressure, heart disease or other serious medical conditions. Weight loss products should never be given to children or pregnant women unless specifically instructed by a physician. Start a day with a cup of leisure 18 slimming coffee, enjoying the taste of life and the beauty of slim. Leisure 18 slimming coffee has been made of Brazil original forest small black coffee, and natural plant “gamboges fruit (HCA), and with scientific processing with precise extraction, is a pure natural, healthy, safe with no side effect slimming product. For simply obesity, and people who want to keep fit..
Store in cool (room temperature), dry and dark condition..
Not applicable for woman in pregnancy and patients of cardio-vassal disease and apoplexy. Drink a cup of Leisure 18 Slimming Coffee can effectively decompose fat, and also has diuretic effect, improving the heart and blood vessel circulation. 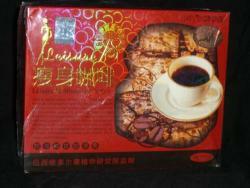 For women, Leisure 18 Slimming Coffee has beauty effect, drinking it daily can make you radiant, bright and charming. Those who are suffering low blood pressure drink Leisure 18 Slimming Coffee everyday can recover to the better condition. It is helpful to anti-cancer, anti-aging and even can prevent the cardiovascular disease. It is delicious and effective! Leisure Slimming Coffee is the extract of Japan wild red ganoderma and Korean ginseng refined from pure natural plants, mainly for fat accumulation and toxin accumulation, to remove the accumulation of toxin in the subcutaneous fat, keep lymph flowing smoothly, taking fat body and the problems away which has strong secretion of cortical. Drinking this product after meal will help to improve and smooth the function of stomach, help to enhance the excess of metabolism, fat, the waist, legs, buttocks transformed as stool (feces) out of the body to achieve weight-loss, beauty and detoxification in multiple effects. Allow you to be fashionable in a better life. "Drink" the good out of a slim figure. Not only being safe but also no causing any weight rebound. Losing weight is so easy; it is just simple cup of coffee every day. It is a natural, healthy, safety, free from side effect reducing fat slimming product. Leisure 18 Slimming Coffee contains clinically proven ingredients to reduce body weight and increase lean muscle mass. 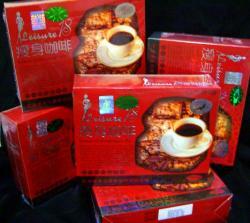 Leisure 18 Slimming Coffee is a natural, and healthy slimming product for Healthy Adults.